Posted on November 16, 2018 by treelawyer	tagged. The Griswolds (no, not those Griswolds) worried about the heavy limbs of a century oak overhanging their place. The arborist they hired got permission from the aged neighbor for his crew to come onto her property to trim the branches overhanging the Griswolds. Seems pretty clear cut, a garden-variety Massachusetts Rule situation, complicated only by the need to use the neighbor’s place to gain access. What could go wrong? Whatever the grandmotherly Clare thought arborist Adrian meant by saying he was going to trim the oak, cutting limbs off was apparently not what she had in mind. Once the chainsaws started up, she suddenly concluded that she never gave Adrian permission to be on her property, and anyway she had asked Adrian to give her the wood from the branches. Huh? It’s kind of puzzling. If Clare had denied Adrian permission to use her property to trim the tree, how could she could have asked him for the wood at the same time. It confused the jury, too, which found permission must have been given, and, necessarily, concluded that Clare Beals could not be believed. Beals v. Griswold, 468 So.2d 641 (Louisiana App. 4th Cir. 1985). 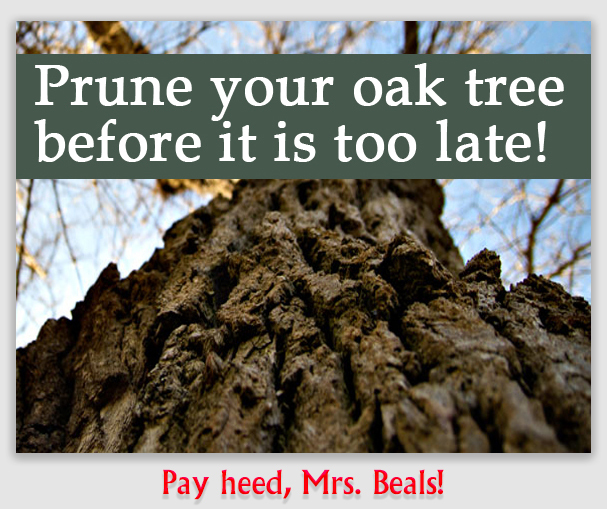 The Griswolds lived next to Clare Beal, who had a beautiful, full 130-year old oak tree in her side yard. Limbs from the tree overhung the Griswolds’ place. They hired Adrian’s Tree Service, Inc., to trim the overhanging limbs. While the trimming work was in progress, Clare protested excitedly and the work was stopped. Clare sued the Griswolds and Adrian’s, but the jury found for the defendants. Clare appealed, complaining that the jury should have found the Griswolds and the tree service to have committed trespass for entering her property to perform the tree trimming without her permission; conversion, for discarding the severed tree limbs despite Clare’s request that they be given to her; and negligence for failing to cut the tree according to Louisiana Horticulture Commission standards. Held: The jury’s finding for the Griswolds and Adrian’s Tree Service was upheld. 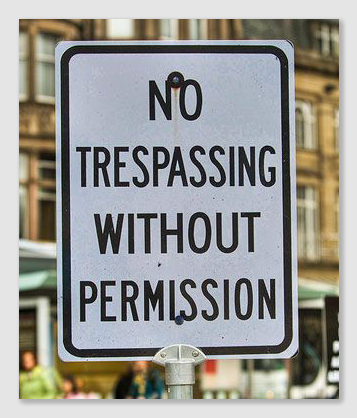 Trespass in Louisiana is defined as any unlawful physical invasion of the property of another without the other’s consent. Here, the thrust of Clare’s trespass action is that the Griswolds unlawfully entered her property without her permission to gain access to the branches overhanging the Griswold residence. Although everyone agreed that the tree service’s workers walked in Clare’s front yard and climbed the tree from her property, the crucial issue was whether she consented to their entry. Although Clare vehemently denied that she had given her consent for the work to either the tree surgeon or the Griswolds, her version of the events was in direct conflict with the Griswolds’ testimony. Arborist Adrian Juttner testified he had obtained Clare’s oral permission to prune when he inspected the property with the Griswolds to prepare a cost estimate for the job. Adrian said that after discussing the matter with the Griswolds, he approached Clare, walked outside in her yard with her, and pointed out the limbs he was going to cut. She said “that was all very fine and good with her.” The Griswolds corroborated this, testifying they had discussed with Adrian the need for Clare’s permission with Juttner, who then walked to Clare’s house, and later returned to tell them he had received it. There was adequate evidence in the record for the jury to find that Clare had consented to Adrian’s entry onto her property. But Clare complained that oral approval aside, a trespass occurred because she gave no written permission to enter her property. In support of this argument, plaintiff relies on regulations of the Louisiana Horticulture Commission requiring every licensed tree surgeon to enter into a written contract with the property owner employing him to engage in tree surgery service and to obtain written permission from the owner before using “climbing irons” to climb the tree. The Court said the regulations Clare relied on appear to require the tree surgeon to enter into a written contract with the property owner employing him. They do not require written consent from the adjoining land owner. 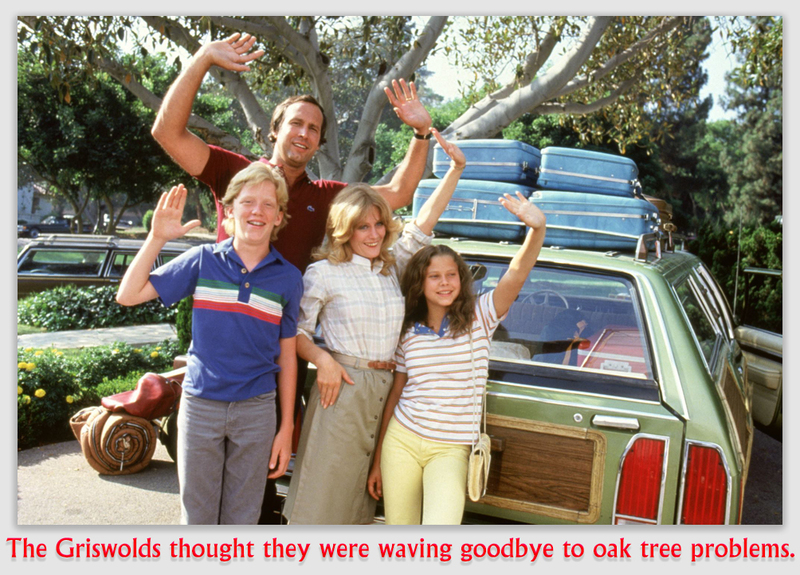 Here, Adrian’s Tree Service gave the Griswolds a written memorandum, and that was sufficient. “Conversion” in Louisiana is a distinct act of dominion wrongfully exerted over another’s property inconsistent with or in denial of the owner’s rights. Clare complained the jury erred in failing to award damages for Adrian’s conversion of the 800 lbs. of wood cut from the tree. Clare testified that Adrian’s Tree Service disposed of the felled limbs and refused her request to retain them as firewood. Although Adrian acknowledged that Clare Beals had asked about firewood after the cutting had occurred, he testified that she was completely “irate and irrational” at the time of the incident and that he was not willing to expend the labor to chop up the branches, which were lying in the Griswolds’ driveway, and deliver the wood to Clare’s property. No evidence showed that any employee of Adrian’s Tree Service denied or refused to allow Clare access to remove the cut wood herself. Under the circumstances, the Court concluded that Clare had access to the wood and that Adrian merely refused to haul the wood to her. Adrian did not wrongfully exert dominion over the branches, especially in light of the evidence that Clare had earlier given her permission to prune the tree without mentioning her desire to retain the branches. The Court further noted that the main thrust of Clare’s claim and evidence concerned her cause of action in trespass. Evidence of conversion was sketchy at best, the Court said. Finally, Clare proffered testimony by two tree surgeons to support her argument that the tree was not trimmed as required by Horticultural Commission standards of tree pruning. In contrast to their views, however, the Griswolds’ tree expert testified that no damage was done to the tree in this case. The Court said photographs and testimony led to a conclusion that the tree is intact and healthy. Furthermore, the Court found, stumps remaining from the trimming may very well have resulted from plaintiff’s own abrupt halting of the work in progress on the morning of the incident. The jury’s judgment that there was no negligence was supported by the evidence.